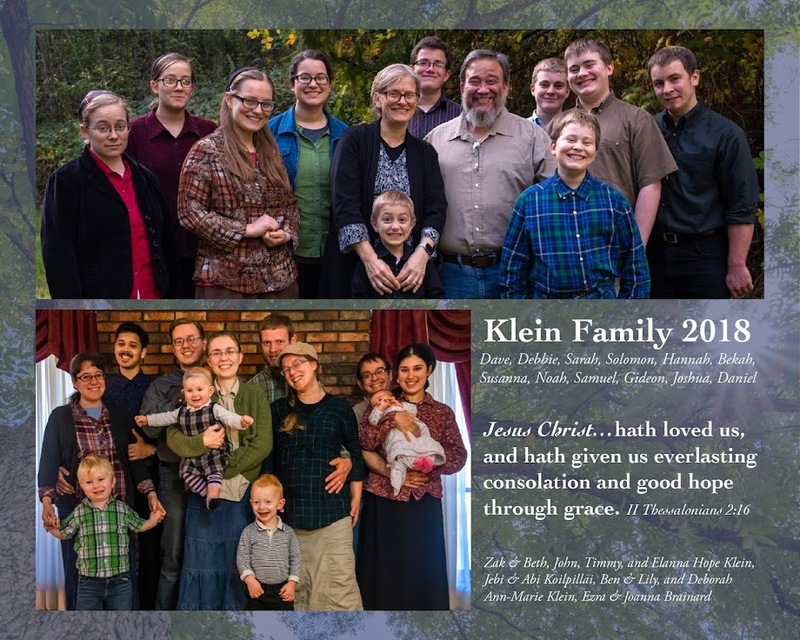 inKLEINations: Back in one vehicle again! Praise the Lord, we were able to get the bus titled and rough fit for our first voyage. We celebrated our February birthdays, a week early, by visiting the aviation museum in Oshkosh. 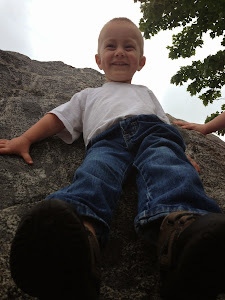 Daddy is on a trip this week, so missed Joanna, Sammy and Zak's birthdays. We had a fun family day in our warm bus, all in one vehicle for the first time in a long time. 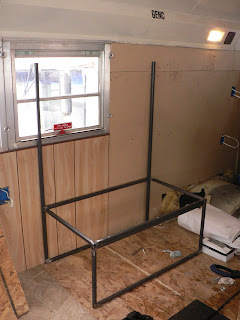 Here is the steel frame assembled in the bus. 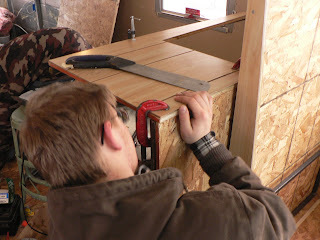 It was measured precisely to fit the cut OSB, which Zak took care of. 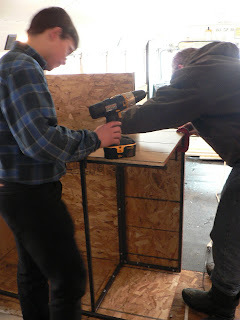 To simplify finishing the dinettes, we used contact cement to cover the OSB with the same type of paneling on the walls of the bus. 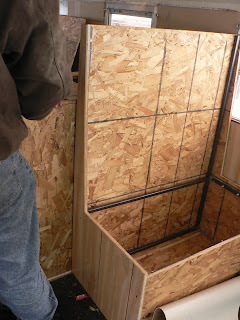 The OSB is screwed directly to the steel frames, which took a little muscle power, and a few extra drill bits. (The paneling is used on the exposed sides of the dinette seats only.) The seats have a very minimal incline, but are very high. The paneling is much easier to clean than a painted surface. 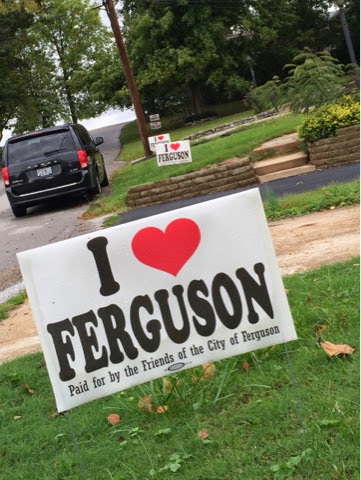 At least, that is what Mommy is banking on. This is the last photo we took thus far. The seat box will be for storage. The visible horizontal bar is what the seat belts are attached to, and there is another piece of OSB for the seat back. A couple of the boxes are cut out to accommodate the bus heaters on the floor (in previous photos). We will have to add some kind of vents to allow the heat to escape, as these seats get pretty toasty after a while. So far, we have made only four the benches, and Zak and Daddy decided to make the ones in the middle shorter, so we are able to see one another easier during trips. Zak has got that figured out and is working on that. Before heading home from Oshkosh, we noticed a warning light for the brakes and a loss of the power assist steering. We made it home safely, as the bus has a backup motor for the brakes. However, we may need to replace the steering pump, which provides pressure for the hydraulic brakes. Other than that, the bus runs great, and as we mentioned, is nice and warm! 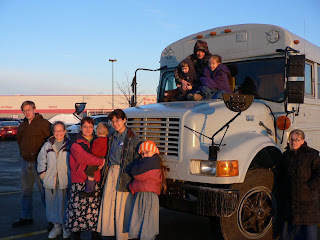 It was 6 degrees outside on our trip to Oshkosh, but much warmer in the bus.